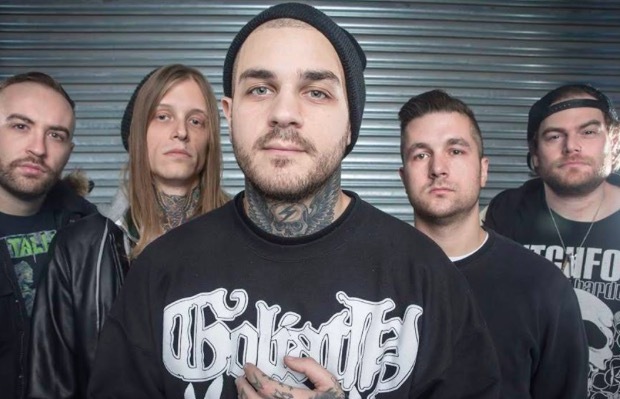 Earlier this evening, news broke that everyone other than frontman Frankie Palmeri had quit Emmure. We have spoken with ex-bassist Mark Davis on the story behind the departures, as well as the new band the exiting members are forming in Emmure’s wake. Davis, along with former Emmure members Jesse Ketive, Mike Mulholland and Adam Pierce, have formed a new band, and will soon be in search of a frontman that shares their vision. “[We] are currently working on material for an un-named/un-fronted project. It is in the early stages but progressing quickly, and we will be ready to find a singer to fit the sound of the band soon. And as far as the sound goes, it’s still going to be us playing our instruments the way that we love to, but in a new, refreshed environment.